Lemon wedges, for servingIn a small bowl, whisk the mayonnaise with the egg, mustard, Worcestershire sauce and hot sauce until smooth. 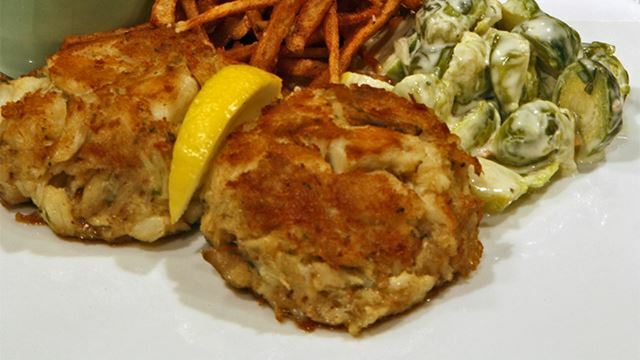 In a medium bowl, lightly toss the crabmeat with the cracker crumbs. Gently fold in the mayonnaise mixture. Cover and refrigerate for at least 1 hour. 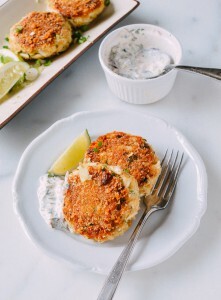 Scoop the crab mixture into eight 1/3-cup mounds; lightly pack into 8 patties, about 1 1/2 inches thick. In a large skillet, heat the oil until shimmering. 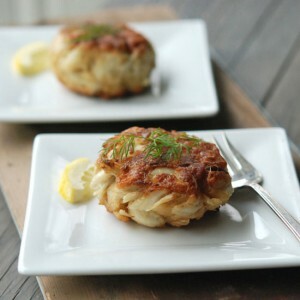 Add the crab cakes and cook over moderately high heat until deeply golden and heated through, about 3 minutes per side. 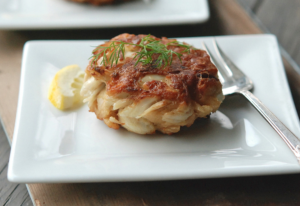 Transfer the crab cakes to plates and serve with lemon wedges. 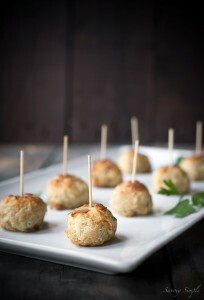 The crab cakes can be prepared through Step 2 and refrigerated overnight. Whisk together mayonnaise, scallions, eggs, mustard, Old Bay (you can find it at any major grocery store), and lime juice. Fold in the crab, followed by 1 1/2 cups panko, sesame seeds, and salt and pepper to taste. Chesapeake Tempeh Cakes from Isa Chandra Moskowitz’scookbook, Vegan Brunch. The clever use of tempeh in these cakes yields a unique flakiness and texture—and these are perfect to enjoy during the summer months. I make these cakes on the regular during this season, and alway follow Isa’s recipe exactly, but today I decided I would experiment with different spices and flavors to see what would happen. These tasted fantastic and paired perfectly with some sriracha-Vegenaise dressing. First, break up the tempeh block into about 8 pieces. Place in a steamer basket with a bit of water, cover and steam for about 15 minutes. Transfer to a large bowl and mash well with a strong fork. Add in the next ten ingredients, mixing well. 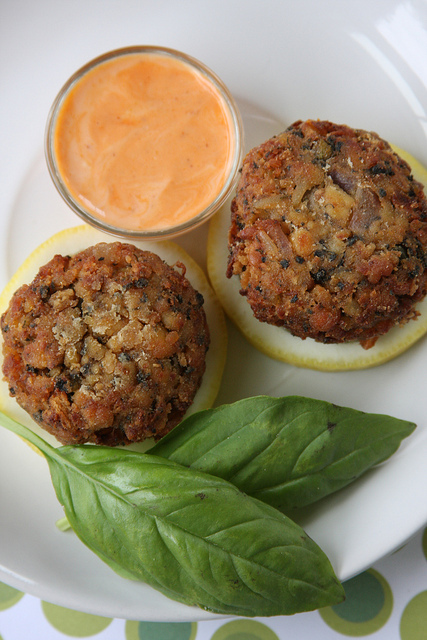 Try making a small patty in your hand—if it molds easily into a patty, you’re all set. If not, try adding a few more crackers at a time until the mixture is firm enough to hold a patty shape. Cover and refrigerate for at least three hours. When you are ready to prepare the cakes, form the mixture into little patties. Set aside. Fill a small saucepan with enough oil to submerge the cakes. Heat over medium-high heat for 5-7 minutes. Test the oil’s readiness but dropping a pinch of the chickpea flour into it—if it bubbles up immediately, your ready to fry. Dust two cakes at a time with some of the chickpea flour and slowly slide them into the oil using a slotted heat-resistant spoon. Fry on each side for about 2 minutes and transfer to paper towels to cool and drain. Serve with the sriracha-Vegenaise dressing. They even taste great cold as a breakfast the following day, dressing included! Broil for 7-10 minutes, keeping a close eye to make sure they don’t burn. Allow them to cook on one side the entire time (the lack of filler makes them very delicate). If the tops seem like they’re going to burn, lower the oven rack or switch the broiler to a lower setting. You’re not cooking the meat but you want the filling to solidify and the egg to cook through. 1. Clean crabmeat and set aside. 2. Combine all of the remaining ingredients in the order listed and mix thoroughly. 3. Add crab meat and gently fold in so as not to break the lumps. 4. Portion out into 8 crab cakes of equal proportion. 6. Broil in a heated broiler in a shallow baking dish with a small amount of water for about 10 minutes, careful not to burn. 7. Or saute in vegetable oil until golden brown on all sides. Chop capers and peppers and mix well in a bowl with lemon.